Setting the stage to start selling its first electric scooter (e-scooter) dubbed Smartscooter in Taiwan soon, Gogoro Inc., a young and innovative Taiwanese company targeting to transform energy distribution and management in megacities, recently inaugurated the Gogoro Experience Center, its flagship store in the upscale Xinyi shopping area only steps away from the Taipei 101 skyscraper, designed to build corporate profile and encourage hands-on interaction with likely the most stylish e-scooter made in Taiwan. Gogoro's new Experience Center likely was not located at random in the Xinyi shopping district, home to a sprawling complex of the Japanese-branded Mitsukoshi department store as well as many renowned import brands, which sees heavy foot traffic of yuppies, X- and Y-generation consumers who are more eco-conscious and aware of the urgency of global warming due to greenhouse gas emissions, hence the relevance, exigency of promoting, popularizing EVs, especially e-scooters in high density urban centers. The Smartscooter has slick styling to rival any gasoline-powered counterparts, with the flagship store obviously playing up all the aesthetic features that would be priority for any eco-minded, trendy urban commuter. First impressions of the Smartcooter leave any observer awe-struck by the streamlined design of the body to set itself apart from most e-scooters made-in-Taiwan that tend to be associated with economy and compromise. One can not help but ask is Gogoro trying to launch the Tesla of e-scooters in Taiwan? The e-scooter maker also announced Taipei City and New Taipei City of Taiwan as the pilot market for the Gogoro Smartscooter and Gogoro Energy Network, both to be available this summer. 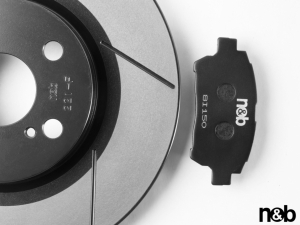 Peng Ming-I, Gogoro's marketing director, said the company is still mapping out the product and service (battery swapping) prices, which will be publicized during the product launch in Taiwan. 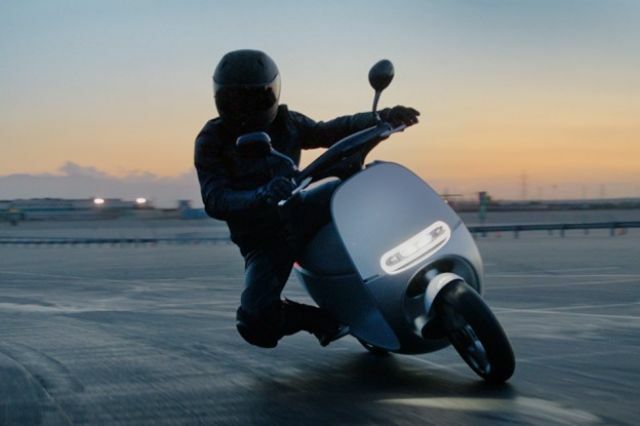 But consumers can be sure that the Smartscooter and battery pack will be sold or available separately, to be either smart marketing to lower cost of ownership, or perhaps make room for future pricing to allow development of new battery packs. Gogoro introduced the Gogoro Smartscooter and the Gogoro Energy Network earlier this year at the 2015 Consumer Electronic Show (CES) in Las Vegas. The Smartscooter is the world's first high-performance, smart electric two-wheeled vehicle with swappable batteries. The integrated Gogoro Energy Network is an advanced battery-swapping infrastructure for cities. The Smartscooter is designed to capture the hearts and minds of a generation of Taipei scooter riders who want to be catalysts for more efficient, cleaner, and smarter energy choices. We wanted to launch the Gogoro pilot program in a market that has a strong track record of embracing innovation coupled with a high concentration of scooters. Greater Taipei is clearly the ideal market, said Horace Luke, co-founder and CEO, Gogoro. Gogoro's partnership with Taipei City and New Taipei City will provide future owners with a variety of benefits with purchasing the Gogoro Smartscooter, including increased subsidy for e- vehicle purchases; broad deployment of the Gogoro Energy Network throughout Greater Taipei; and preferred EV parking throughout both cities. Taipei City and New Taipei City are taking a progressive approach to city planning and smart city urbanization. 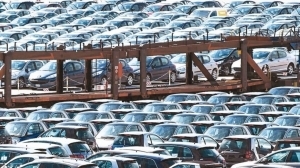 The positive impact of this renewed effort for high-performance electric vehicles in Greater Taipei will be felt for generations and be a global example for what the private and public sectors can accomplish when they work together for the greater good of citizens, said Luke optimistically. The CEO may have missed the TV news report in Taipei of April 7 that said the city still has so many 2-stroke motorscooters, being many times more polluting than 4-stroke counterparts, that would take over 20 years to replace. Taipei City chose Gogoro as the first participant in its recently unveiled "Living Lab Project," a program for innovators and entrepreneurs to trial run products and business ideas that can improve quality of life for residents. Gogoro is introducing a new, more flexible and sustainable electric refueling system. It is a perfect fit for our new Living Lab Project, and we are excited to be the global pilot city. Deploying the Gogoro Energy Network in Taipei City and incentivizing our citizens to replace traditional gasoline-powered scooters will help shape a healthier, more sophisticated and smart Taipei city, said, Ko Wen-je, the new mayor of Taipei City. New Taipei City, on the other hand, has made a strong commitment to embrace technology and has become a globally recognized leader in smart urbanization. The Intelligent Community Forum, a global initiative whose website states "All of ICF's programs serve the same purpose. They help communities adapt to the demands of the Broadband Economy and build prosperous, inclusive and sustainable economies ready to prosper in the 21st century," selected it as one of the top-seven smart cities globally in 2014. 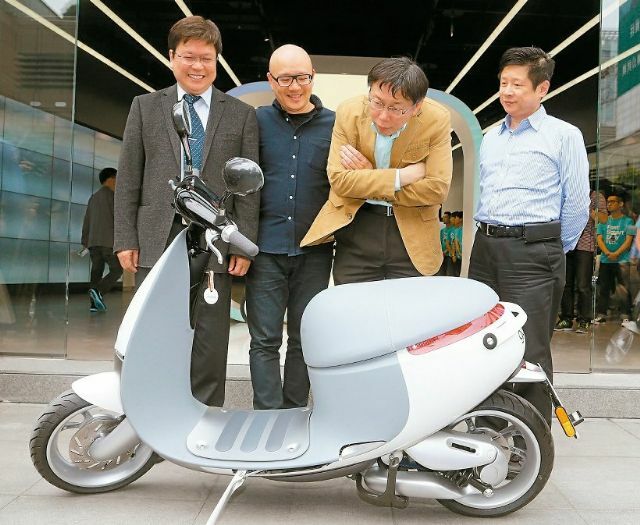 Gogoro is partnering with New Taipei City to support its transformation to become even smarter, said the maker. Gogoro is a key element in New Taipei City's plan to realize its potential as an ever growing smart city. 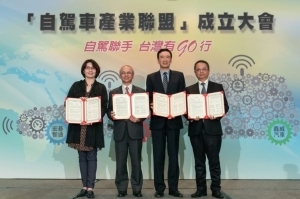 We are working closely with Gogoro to build a smart energy distribution infrastructure that integrates with our new energy-sharing program to give our residents a greater sense of well-being, said, Chen Shen-hsien, Deputy Mayor, New Taipei City. 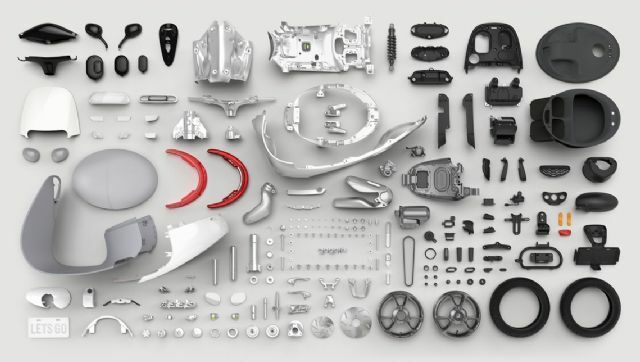 All the parts and systems on the Gogora Smartscooter are specifically designed and developed for the advanced e-scooter, without overlapping or duplication of other electric or internal combustion engine (ICE) counterparts. In addition, many high-end techniques and parts are adopted to produce the Smartscooter, such as automotive-grade materials, aluminum-alloy vehicle frame, LED headlamp, four-link suspension system as used on higher-end cars, and customized, composite tires by Cheng Shin Rubber Tire Ind. (Maxxis brand) for enhanced steering performance. But as the premium-priced Tesla, one gets what one pays for. All the uncompromising design, high-end parts, and Gogoro's e-scooter production line in northern Taiwan inevitably incur relatively higher cost, Peng said, with a bottom-line of about triple to quadruple the price of a 125cc ICE scooter. The buzz on the Internet says Gogoro might even sell the Smartscooter below cost just to promote the e-scooter to build popularity initially, but, contrary to rumors, without ever be as low as NT$70,000 to NT$80,000 (US$2,333 to US$2,666) unit price. In comparison, a basic e-scooter from Fuechan, a maker in New Taipei City, with 4 lead-acid batteries and range of about 40 kilometers retails for NT$32,800 (US$1,050) excluding NT$3,000 in subsidies. The Smartscooter harnesses the power of 30 onboard sensors, cloud connectivity, and an integrated Gogoro mobile application that enables the scooter to get smarter and more efficient with every ride. The Gogoro iQ System puts the power of a personal computer in the Smartscooter, synchronizing wirelessly across the Smartscooter, Gogoro app, Gogoro Battery, GoStation and Gogoro Energy Network. The app utilizes the Gogoro iQ System to find the closest GoStation, deliver detailed scooter diagnostics, adaptive throttle control, customized regenerative braking, and the ability to track ride data like top speed and range so a rider can analyze riding patterns to optimize power and energy consumption. The Smartscooter also features easier recharging: Riders don't need to wait to recharge the Smartscooter and can swap a depleted battery for a charged one in 6 seconds at any GoStation. Batteries can be reserved in advance, and a subscription-based payment model offers unlimited access to as many charged batteries as needed. Also Smartscooter's hyper-connectivity alerts, if servicing is needed, a rider immediately via the Gogoro mobile app or at the GoStation when swapping batteries. The short electric refueling process, faster than refilling gasoline, is also one of Gogoro's appeals to urban commuters. Gogora has announced to set up the GoStations battery-swapping stations in Taipei City and New Taipei City, with each station being similarly sized as an auto teller machine (ATM), to be extensively installed across the two cities with one station per 2.5 square-kilometer. Founded by technology veterans Luke and co-founder and chief technology officer (CTO) Matt Taylor, the Smartscooter and Gogoro Energy Network are Gogoro's first products. In October 2014, Gogoro announced having raised US$50 million in Series A funding in 2011, and is currently closing its Series B fund raising of US$100 million to commercialize and go-to-market in 2015. Luke has overseen product development and corporate strategy from the outset, having been chief innovation officer at HTC, a major smartphone maker in Taiwan, where he was instrumental in leading the company's transformation from a white-label hardware manufacturer to a competitive, innovative mobile phone brand globally. 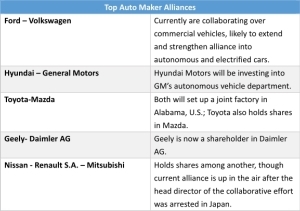 Now he leads a company with vision to revolutionize the powered two-wheeler (PTW) industry concept by launching e-scooter and services similar to those of Tesla Motor in the premium electric-car market. 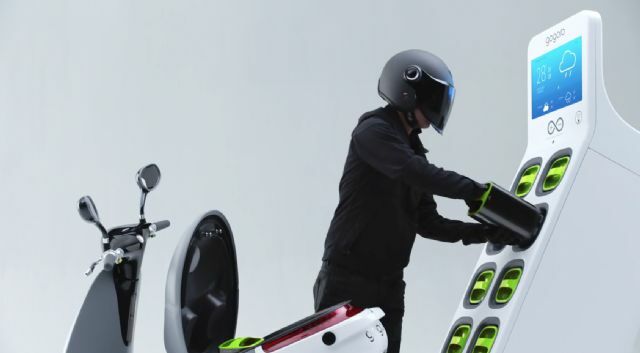 With different thinking in product design, operation and marketing more like that of a cellphone vendor, Gogoro in many ways takes a page from Tesla, industry experts say. 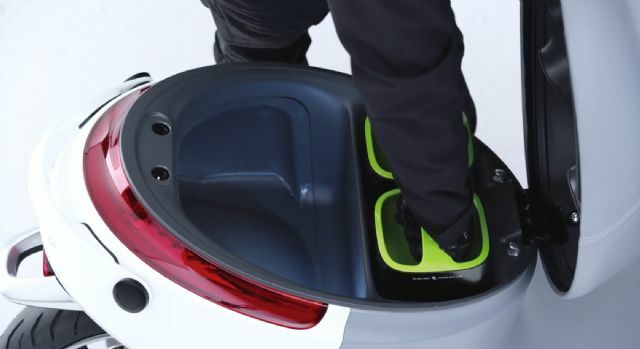 For example, the Smartscooter's changeable shell or fairing is taken for granted in the cellphone business, as is Gogoro's electric refueling service program that is akin to the service-bundled packages offered by telecoms. A senior industry insider hits the nail on the head by saying that the major reason for low e-scooter sales volume in Taiwan being vendors are still stuck in the traditional PTW industry mindset. Gogoro, however, from the very start, tried to rejuvenate the cost/profit concept by adopting the best materials, most advanced technologies, and creative ideas to build the Gogoro logo and target the global stage. Gogoro is funded by Samuel Lin, chairman of Ruentex Group in Taiwan and one of Asia's most successful entrepreneurs with diverse businesses including retail, sustainable technology, healthcare, financial services, property development and textiles. With such solid financial support, Gogoro's R&D team has created the "Ferrari" of e-scooters and the first automated e-scooter assembly line in Taiwan, without anyone able to foresee the day the huge investment will see returns. But there were ample detractors when Porsche mulled the idea to enter the SUV segment with its Cayenne, a model that is as farflung for the iconic sports car maker as is the Mini for BMW. Now the Cayenne is reportedly a major profitmaker for Porsche. So the adage in business remains: Only those who dare to gamble innovatively and boldly stand to win big. Gogoro anticipates the completion of its Series B fund-raising of additional US$100 million, which will enable the fledgling Taiwanese firm to roll out the fully-Taiwanese-funded Smartscooter with totally local R&D, manufacture to set a new standard in upscale e-scooters.